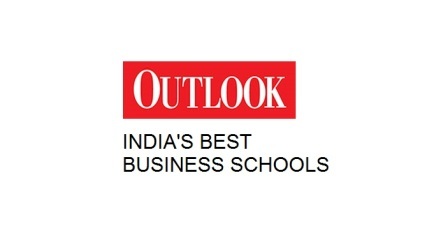 Outlook magazine has released the 2014 ranking of B-Schools in India with a section devoted to a ranking of the best B-Schools for a pursuing a One Year MBA course. The ranking is interesting because it reflects the conflicting themes playing out in management education in India today – the rising stature of one-year MBA courses which are producing MBA talent as the world understands the term thanks to their intake of highly experienced professionals and the historical predominance of two-year PGDM/ PGP courses in India which largely recruit freshers. The situation seems to have left an imprint on the ranking – while the magazine has chosen to base the core ranking of B-School’s solely on scores assigned to AICTE, NAAC and AIU accredited two-year PGP/ PGDM courses, the write-ups accompanying the rankings seem to suggest that the industry in India is increasingly preferring talent graduating from one-year MBA courses that is ready to hit the ground running. It’s perhaps worth noting here, that one-year MBA programmes are in fact the only courses in India to have been accredited as MBAs by global accreditation body AMBA, UK. Coming to the rankings, the methodology followed by the magazine for the ranking the best B-schools for one-year MBA courses this year is not entirely clear. Last year, Outlook had mentioned that its inaugural 2013 ranking of Best B-school’s for One-year MBA courses is based solely on recruiter perception. This year, while Outlook has clearly defined the parameters for its main ranking of Best B-Schools for two-year PGP/ PGDM courses, its is silent on the key criteria considered for ranking B-Schools for their one-year MBA courses. The ranking has some surprises – while the top 3 slots in the ranking have been grabbed by IIM A, ISB and IIM B in that order, IIM C (No. 5) has been upstaged by XLRI (No.4). However, some aspects of the ranking strike an odd note. Chennai based Great Lakes Institute of Management has been ranked No. 7 this year – above schools such as IIM Indore and SP Jain. The inclusion of IIM Kozhikode at rank 8 is absurd – IIM K doesn’t have a one-year full time MBA course. 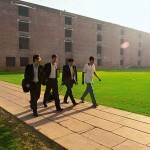 IIM K does however offer a two-year part-time course (executive MBA) called EPGP. While the course name is very similar to the branding used by IIM B and IIM I for their one-year full time regular MBA courses (EPGP again), IIM K’s EPGP is a part-time course. IIM K should ideally have been ranked separately for this course, possibly in a ranking of best B-Schools for an Executive MBA. Read more of Outlook’s 2014 B-School ranking at this link. FMS Delhi not there – among the top? Is this correct? Any specific reasons? This is a ranking of One year full Time regular MBA courses. FMS doesn’t offer the course. Thanks for clarification. Missed that from my side. Is MDI Gurgaon good for one year mba? Is IMT Ghaziabad not in top 1 year MBA. Yes Kunal, this year Outlook seems to have cut its ranking down by 2 spots and limited it to the top 10. So IMT, which was ranked 11 last year, has missed out a top slot this year. But here is where it gets interesting – IIM K seems to have been erroneously included in the ranking this year as it doesn’t have a one-year full time MBA! If this had not been the case, IMT might have made the cut this year too! Ok thanks admin. But IMT ghaziabad’s 1 year full time program, placement remained pathetic since last year. Even this year only 8-10 students are placed out of around 50 approx students even after completion of course. Is placement difficult in cases of 1 year scenario. Hi Kunal that’s unfortunate. Placements for 1 year MBA courses tend to be a different affair from the process for two-year PGP/ PGDM courses – not tougher as much as requiring a new approach because of the class with work experience. Many B-Schools are taking time to adapt to placing this new breed of management grads. A bit of background- MBA courses worldwide (both one-year and two-year full time courses) only grant admission to students with substantial work experience – this is a basic requirement for the course to be accredited as an MBA. Placement processes at schools in USA and Europe have accordingly developed to place students in senior profiles. B-Schools need to develop a whole new network at higher levels of management to place leadership talent graduating from a one-year MBA, as well as sensitize industry to the value of this talent which is in step with what is expected of MBA talent globally. Instead many schools have been confusing things further by using confusing tags such as ‘MBA for Executives’ which don’t help – many students as well as industry professionals end up confusing the one year full time course with a part-time course due to the usage of the word ‘executive’. hi can you throw some more light on placement statistics of IMT Ghaziabad for 1 year programme. Hi Varun, unfortunately IMT doesn’t seem to publishing much data on the placements for its 1 year MBA Class. From what we have gathered over time average salary for the graduating class hovers around 9-12 lakhs. Thats what, students need to pitch in the company that there is 1 year full time mba in the college but company still not convinced that student have left their job and doing full time affair. On trying off campus companys like tata motors etc say that they do not recognise these sort of mba. There are few good college who are offering 1 year mba full time and if they can’t place the students then situation is poor. These students cant apply as a fresher also. IIM kozikode mba is an online one through Huges platform and they dont even consider student for placements, still its ranked above. We hear you. In our view B-schools need to work on ‘positioning’ to begin with – stuff such as the ‘executive MBA’ myth stemming from the less than perfect branding is possibly the first thing that needs to get sorted and schools also need to clarify to recruiters how the the MBA talent is a different animal from the talent stemming from pgp/pgdm courses. For this, bench marking against global standards is important. Many B-schools are now going for AMBA accreditation and hopefully it will become a standard down the line. What remains to be seen is whether B-Schools clarify to recruiters and students the ramifications of the AMBA accreditation on the one-year and two-year courses (accredited as MBA and MIM respectively) and build it into their course branding. Thanks admin for your concern. When we are looking forward to see our country as as a global market our manegerial skills should follow global patterns. AMBA should guide the colleges to follow an appropriare pattern and industry should understand that 1 year MBA people will be anyday more fruitfull than a fresher. I am Patent Attorney (B. Tech, Llb, Patent Agent). Is doing 1year MBA from reputed college would be fruitful for my career after having six years of work experience? Hi Amit, check the profile evaluation section on the forum, i believe a lawyer asked a similar question there. In many ways this depends on your aspirations. What are you expecting from the MBA degree? What transition are you looking at making? A one year MBA at a good school will give you a good overview of management for sure and help you connect better with your clients or even start a more holistic consulting company. Share more and we”ll be able to tell you more. Have a good year ahead! Note: questions posted on the forum get a 3 times faster response. PGDM-2 yrs from IMT under Distance Learning : What’s the ranj of IMT Ghaziabad ? Hi Vivek, I hope you aren’t confusing the part time programme(an executive MBA/ part time course) and the one year full time regular MBA for which basic eligibility is 5 years work experience in keeping with global eligibility norms for an MBA. The part-time programme is not ranked in the above list of one year full time MBA courses as its an in a entirely different category of programmes. I have 0.8 % less than 60 in 12th due to medical reasons having scored good in 10th and B.Tech. Also placed in reputed OEM automobile company with overall experience of 5 years in Purchase and Supplychain. 1.Does 12th mark matter for 1 year MBA programmes? 2. What cutoff generally B.Schools look into for 1 year MBA? 1. Schools will look at GMAT, College and School marks together – if one is low you can, at least as per the claims of the B-schools make up for it by scoring well in GMAT. 2. There is no cutoff – schools use GMAT scores as only criteria and assign it around 20-25% weightage. The GMAT score of accepted candidates at top B-Schools in India is typically 640-770 – though you will find few people with the lowest and highest scores mentioned. The middle eight percent will have scores between 670-740. How is XIMB for one year full time mba? Hi Kallol, this is a new course and there is very little information available on the prospects for graduates of the course. One thing that struck an odd note for us in the information docket about the course was the institutes’ outright statement that there was going to be no placement support for candidates who join its One Year MBA. This is odd, because placement support is part and parcel of most One Year Full Time MBA courses in India, and globally. At 3.5 yrs of experience, what would you suggest? Would XIMB one-year MBA be beneficial for me or should I go for 2-yr full time PGDM from NMIMS Bangalore? Hi Kallol, as we shared, your guess is as good as ours on this one! There is no data for XIM B on the basis of which we can guide you. That said, NMIMS’ 2-year pre-experience course is an established programme – you need to see if the roles on offer suit the kind of roles you are searching for and take a call. 1. Which are the three colleges except ISB and IIM you would recommend? 2. Would there be any placement issue for 10+ exp guys? Okay.. nice article .. i meant to say one year full time MBA 🙂 ..can you plz answer my both the above questions ..tnx. 1. 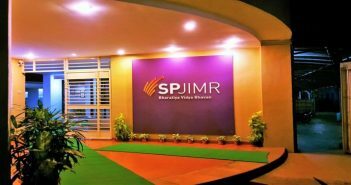 You should check out XLRI and SP Jain, Mumbai. You could also research MYRA – its a new school, but as it is Mysore based, it is close to IT companies there and in Bangalore. 2. Depends completely on your aspirations – if you build on your past experience you should be ok. If you choose to instead try a completely new area, there will be some struggle, but its a perfectly legitimate path too. Hi Kunal, more info please! You didnt mentionGreat Lakes Chennai,hows the 1year programme at GLIM Chennai and hows its placements in streams other than IT?? I would want to know about symbiosis executive MBA, its 3 hour classes on weekdays. Where does it STAND for industry acceptance scale !. Thanks once again for your valuable time. I am re-posting this from other thread. my Focus is to grow up in ladder in my own stream. I am solution architect and to take up more responsible role (director, marketing lead), its best to do MBA. i cannot leave job due to family commitments. I want to do E-MBA out of choice and not because i cannot do other MBAs. Basically, would E-MBA will help me meet my goals ? Yes Rajan, an Executive MBA (part time programme for others who might confuse it with a regular MBA done in one-year) is a good option if you can’t leave your work and you are looking for growing within the same company/ same area – basically any situation where you need knowledge and not necessary a placement. Shifting roles from a technical one to a marketing one however could be difficult with a part-time course. Most companies hiring in their marketing department might need you to have a full time MBA in order for them to consider your profile – since you don’t already have domain expertise in marketing. If you plan on staying with the same company its best to have a chat with your HR – different companies have different policies and you should check with your HR in the value a part-time MBA will bring to your career in marketing at the company. Hi .. I am having 3 yrs experience with core company. I want to pursue an Executive MBA from a reputed B school. Can you recommend colleges in Pune or Mumbai? Also, can you give details about placements? I am afraid, this is the only school in Mumbai with a one year full time MBA. But, you need more work experience to be eligible. SP Jain requires 5 years of minimum work experience. hi…i want to know about the future prospects after doing executive mba in healthcare management from medvarsity apollo hyderabad..its 1 year online course…i am a BDS graduate…. Sorry we don’t have much information about this course. NMIMS two years pgm for working executive is it good?what say?Please help. i am BE in E&TC in 2003 and have 10 + exp in reputed DPSU. I want carrier guidance on higher studies like which will be better option for me. 1 yr or 2 yr Full time MBA. and on GMAT preparations. How tough i will face to score a good score about 700. I am a pharma professional. Having 3 yrs of work experience. Do you have information about School of Inspired Leadership (SOIL), Gurgaon.? Information related to its ranking and placements? Also, what would you suggest for a pharma professional regarding MBA, which college and course should be preferred? What is Myra Business school ranking for one year full time mba in india. My profile: B Tech Computers 72% + 7.5 year experience in IT- non managerial role ? 1. Whether it will be fruitful for me to do this one year MBA or not ? 2. Regarding placements this school says that pkg is around 14-24 lac…. do you have any idea about how true it is ? Hi Abhinav, MYRA isn’t ranked in top 10 ranking by Outlook. Outlook limits the ranking to 10 places, so its anyone’s guess where MYRA would be ranked. 3. The school has released the placement data in national media and there would be serious ramifications for the school if the data is not correct – keeping that in mind, the data should be accurate. That said, MYRA doesn’t provide an audited placement report (we wish all B-schools would follow Indian Placement reporting Standards). One of the student of 1 year batch at IMT recieved economic times young leaders award. Great news kunal – thanks or sharing! @admin nice article. I am a post graduate in biotechnology with 6yrs experience in sales and marketing of pharmaceutical & microbiology automation. I am looking to do a one year mba to enhance my career opportunities. Would you recommend a gmat or cat ? I have been an average student throughout with a percentage of 65% across right from 10th to msc.will this have an impact during the admissions & choice of college. 2017-18 is when I would like to do my Mba. Roi is a critical factor too..how do you rate xlri,isb and great lakes ? I am a post graduate in Life sciences with 6 years of experience in sales & marketing of pharmaceutical machinery & microbiology automation products. 2017-18 would be ideal considering my personal commitments,however I would like to know where my profile stands wrt one year mba standards. My educational background is as follows. I am yet to give gmat however do I stand a chance to get through to any of the top universities with a score below 700. I have 2 objectives to fulfill post MBA, long term entrepreneurial goal &short term goal of getting into consultative marketing& sales. Please share yours thoughts on Great Lakes,XLRI & imt for the one year program. Also highlight on the roi. I’m planning to get admission to 2 years E-MBA in Symbiosis Institite Business Management (SIBM), Pune. Just wanted to get feedback on the E-MBA course @ SIBM, Pune. I’m working with one of the reputed company in India as a Deputy Manager with 8.5 yrs of Experience. Will this course help me to get boost to my career??? Hi Rahul, we don’t have enough information about this programme to comment on it. An EMBA is a perfectly good option to get a career boost within your current company – the best way to determine whether the degree will hold sway in your organisation is to talk to your boss and HR about opportunities that await you with the qualification. If your aim is to switch organisations on the basis of your degree – so for instance if you want to go for a new role or switch industries, a full time one year MBA could be a better option given your extensive years of work ex. I have 5 yrs work ex in Power Sector in Civil Construction Domain. Looking for operations/general management role. I have done my BE(Computer science) and have 3 yrs exp in IT field. I am looking for one year MBA course (HR/Consulting) which would give a career boost to my profile. Can you please let me know which are all the exams which needs to be taken for the same and also the top colleges offering courses for HR/Consulting stream? Hi Sheethal, an MBA is meant to be general management degree – so you could pick more courses in HR and Strategy but there is no MBA in HR or MBA Consulting we can think of – at least not one we can recommend to you. The exam you need to take for a MBA of one-year duration is GMAT – this is accepted by all B-Schools. Experience profile – IT and Analytics. Currently working with world’s top business consulting firm since last 2+ years. Now the question is , which MBA should I be thinking of. 2 year full time or 1 year full time MBA. What CAT percentile or GMAT score should I target to get into top 5 B schools. Constraint is that I can’t go abroad for MBA due to family reasons. you have missed out MDI gurgaon.The college offers 1 year mba names NMP. Its a 15 months resedential programme. The course was designed in such a way as to impart MBA degree to sponsored cadidates. But over the years the number of self sponsored candidates have increased and so is the need for placements. Last year the college has admitted 100% placements for its batch with an average package of 13 lc pa.
1. What would be good,1 yr mba or 2 yr course? 2. In case I go for 1 yr mba what is the cutoff time of appearing in gmat so that I become eligible for 2016? 4. Do psus/govt sector recruit executive mbas? Please guide me on the best 1 year MBA programs suitable for my profile. Work Experience – 8 years in IT sector in top MNC’s. Worked on development and support projects in the roles that required extensive communication with business. 1.5 years international client facing experience. Working as Project Lead in current organization. Lots of awards and recognitions in the current company. No major extra curriculars during school or college. Looking forward to give GMAT in next couple of months. i am a businessman, thinking about doing one year mba from good b-school. To invest this sum of money and one full year ? What are the prospects ? I am Chartered Accountant and got around 9 years of experience. My CTC is already closed to 20 lacs in mid size company in India. Do you think one year full time MBA program would be helpful to further push my career to next level. Suggest some 3-4 B schools is should look for!!! Dear Sir, am working with a exim company for last 7 years in different parts of Africa. Want to pursue a 1 year full-time MBA from some reputed institution. Being overseas, have never appeared for Cat or Mat or any other exam. Kindly advice if any of the reputed institutions can accept my candidature. And will this be helpful for my carrier to counter better job option in future. Hi Admin, I am 2010 Engg passout having work experience of 4.8 year. I have been in Sales/Marketing function which became my cup of interest. I am planning to go for 1 year classroom fulltime MBA. I have scored 82.43% in 10th, 64% in 12th and 53% in Engg. 1. I want your suggestion either to go with 1 year OR 2 year MBA. 2. Which college you suggest to go with in my case. With 4.8 years experience you will feel out of place in a MIM/ MBM (2 year PGP/ PGDM course in India). You will get good oportunities through both courses however – at largely entry level through two-year course and at lateral senior levels through a MBA (one-year course in India). Hi Admin…. I have around 4.8 yrs exp & working with HPCL . CTC : 10 lacs. Iam working with automobile company with engineering background my accadmic is not good in engi. as well as school. So can you plz guide me should i go for mba or not how much acadamic score will impact for admission in top b schools. Nimish this side. Can you please share the list of good colleges offering 1 year EXECUTIVE MBA who do not rely on GMAT,CAT and other common tests. This is one of the most informative article about the doubts that I have in my mind right now…you can call it crossroads…I am a Software Engineer , with close to 3 yrs of IT experience as of now. I am very much confused. I am gonna go for only full time MBA and I would wanna do a MBA which sticks to my field only ..IT management related …which to opt …Executive MBA or MBA ..is the thing that’s got me thinking lately…I am already preparing for GMAT from the past 1 month ..but lately I feel there may be fund issues if I go abroad…if I can get a better ROI while staying here in India itself then why not? Please suggest something that I can grab on and move in that particular direction. I know this is more like an individual choice but your suggestion and insights are highly appreciated and may turn out to be really helpful. Awaiting your response. Great job maintaining this excellent space. Hats off! Thank you for explaining this. Reading the articles did clear out a lot of stuff. What I meant by executive is , isn’t the one year full time MBA same as an Executive. I thought it is . If I am planning for an MBA by the mid of next year , by then my total work experience would be 3.6-3.7. And since I will be having a 3+ yrs of experience by then I feel good. So , how am I to go about it? I will write my GMAT maybe within the coming 2 months , so I should apply for the 1 year MBA course right? That’s the best thing/ROI/career jump for me as of now? Or going abroad to pursue an MBA should be considered and finalised? Do correct me if i am wrong. Going abroad is a perfectly good option if you want to settle abroad – the heavy loans will also necessitate that you work abroad for a few years to earn in dollars/ euros in order to pay back the loan amount. Or else you can look at a One Year MBA in India. Plus , every 1 yr MBA course acceptS GMAT right? Or are there any good colleges which doesn’t require a written test. Just interviews would do..something like that. Hi Nikhil, yes all 1 year MBA courses in India accept GMAT. And I can’t thank you enough for pointing out the fact that 1 year full time MBA is not an Executive MBA . I actually never thought there’s even a slightest difference. Colleges/Universities should actually clear these things out. A shame indeed. Hi Amit, you will need a GMAT score for most 1 year MBA courses in India. If I do an EMBA at NMIMS, will it be really worth? What kind of emoluments can I expect after completing the course? Hi sir, First of all Thank you for your article. I had completed my B.tech & now am looking to join one year mba college/university. Can you give me list of colleges/universities that accept FRESHERS for one year mba. Hi Raji School of inspired leadership (SOIL) in Gurgaon, is one of the few B-Schools that accepts freshers as well as experienced aspirants for their One Year MBA. “SOIL”1 year global mba . WHICH INSTITUTE IS WORTHY ? 1) but do you see any chances of getting into any good B school. 2) If the ans to above question is no , then I m planning to give GMAT again maybe in Nov . which all B schools are left for 2016 batch . 3) Looking at my profile how much should be my score to get into IIM`s or its level of colleges . Hey Bhupesh, 490 won’t be enough for an admission into the top colleges. Won’t advise spending time on applications with this score. Either retake the exam, or you could consider looking at colleges that have their own test. For instance one college with admissions around the corner is MDI that has its own exam for the one year mba (NMP) and will hold the exam around mid December. You can get in touch with [email protected] to find out more. SOIL is another school with their own test. It is hard to comment on what score you need without a more detailed understanding of your profile, but generally a score of 660-670 minimum is required even if you have achievements to showcase and your level of work experience. Here is the salary data: SOIL claims a average domestic CTC of 9.5 lakhs with highest salary of 24 lakhs, while MYRA talks of average domestic salaries ranging between 11 to 22 lakh. Great Lakes mentions a 11.4 lakh average salary (including international salaries). XIM B has not released any salary data as yet. In our view, salary data is one piece of the puzzle. The school that will be right for you will depend upon the roles you are looking for and geography you want to work in, past recruiters at that school etc. Study these and then decide. How is one year executive MBA at IMI delhi. Is it worthy? What are the placements statistics? What is the average salary offered for this programme? Hi , m vaibhav m b.com graduate with 59% . I wann to pursue m.b.a in hr . How can i get admission in bschool of ahmedabad ya mumbai. Specially iim and s.p jain. I am working professional in IT. I’ve shortlisted NMIMS & Symbiosis Institute of Business Management, Bangalore. What’s your opinion on MBA Executive from (SIBM) and PGDB from NMIMS? Plz guide. I will have a total of 3 years experience on June 30 2016. What are the options for 1 year MBA for this much work experience except ISB? What is your take on XLRI GMP vs Great Lakes PGPM? XLRI has a longer running One year course and its placements are higher at around 16.5 lakh/ annum. XLRI has bestowed flagship status on One Year MBA – however their two-year course is the more established programme. Great Lakes’ flagship is a one year MBA, and the longer running course at the institute and ithe placements are closer to 12 lakhs/ annum. Kindly suggest me for MYRA.Is MYRA a good choice for one year executive MBA. Hi.. Can you please update latest rankings and placement details for 1 year full time MBA? Hi, How is LBSIM(Lal Bahadur Shashtri Institute of Management), Delhi for PGPM Executive full time Program of 15 months for working professionals 5+yr sof experience,..No Placement stats is available on LBSIM website but on the admission notification, they are saying that placements will be provided. Please give some idea about this LBSIM course and one of the magazine rated this program as 10th position 2-3 yrs back. I would like to know if I could apply for emba with CAT score ?